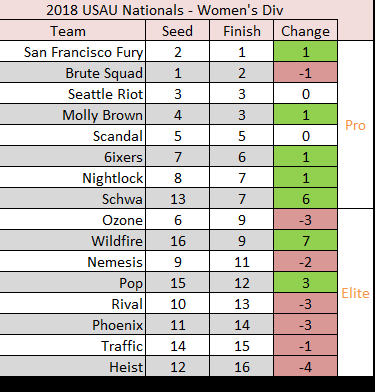 The 4-day 2018 USA Ultimate National Championships were completed in San Diego, California , over October 18-21. The top sixteen (16) teams from each division - men, mixed, women - were in competition. 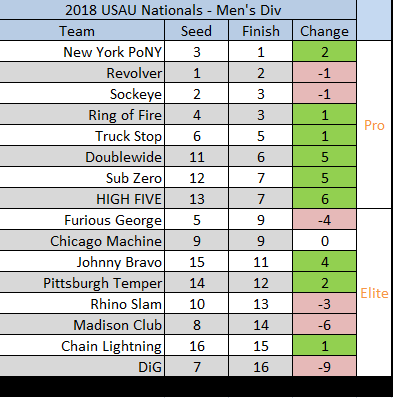 Here's how each team in the 3 divisions finished compared to their pre-tournament seed. Biggest movers - up and down - also noted. Very little movement in the top-7 seeded teams. 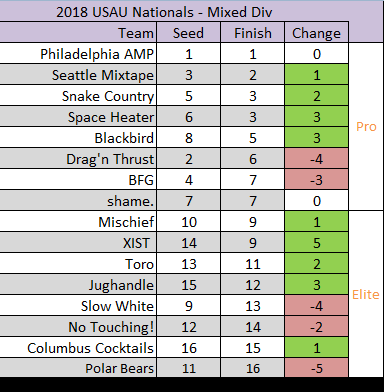 The top seed won the championship in a division with lots of movement. Lots of movement in this division.